The NFinity broadcast video server is a reliable, flexible, and affordable solution for video ingest, playout, and control. 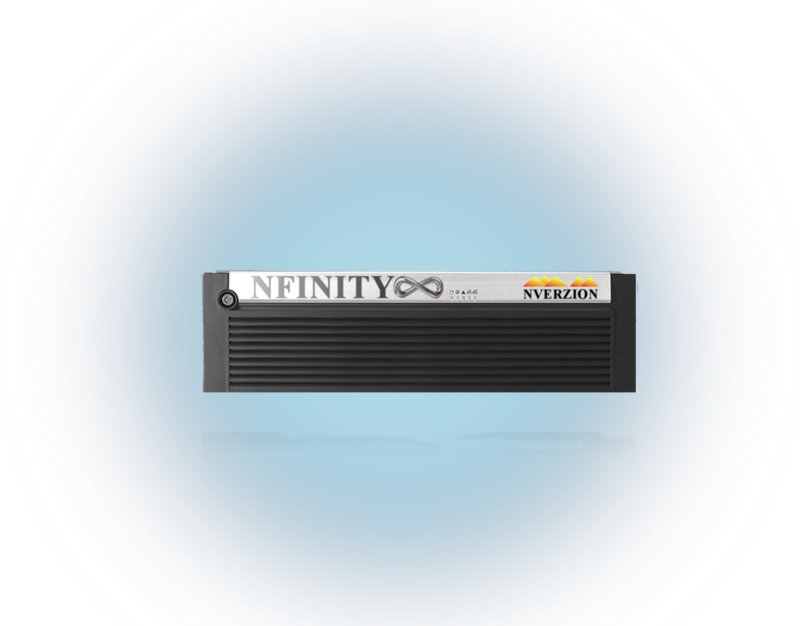 NFinity combines the power of a traditional broadcast video server with custom built NVerzion automation and control software, all in an easy-to-use package. Control NFinity with the on-board applications or through external VDCP control. Modernize your broadcast infrastructure with NFinity’s simple and efficient file-based workflow. NFinity plays out many major video files in their native formats, without the expensive and time consuming process of transcoding, flipping, or re-muxing. NFinity is agnostic to video file formats, and on-the-fly internal transcoding, when needed, allows for seamless playout. Provided sufficient bandwidth, NFinity channels can play files stored in multiple sub-directories on any number of storage or file systems. Add an unlimited number of channels without having to relocate material.NFinity can be controlled locally, remotely, or with its fully functional VDCP interface (both serial and network), and can be controlled by all major automation systems. Upgrade to the NFinity Premium package and experience enhanced features like our proprietary source switch technology, expanded built-in storage, and enhanced graphics package. NFinityPlay Scheduling software is included with all NFinity Broadcast video server packages and allows users to create simple playlists to control one channel of on-air server output. NFinityPlay also enables users to schedule graphic insertions with each event and is also capable of running seamless playlists 24 hours a day 7 days a week with frame accurate transitions. Users are also able to optionally switch between incoming video and server content. NFinityRecord is also included in all NFinity broadcast video server packages and allows users to initiate manual recordings with ease. 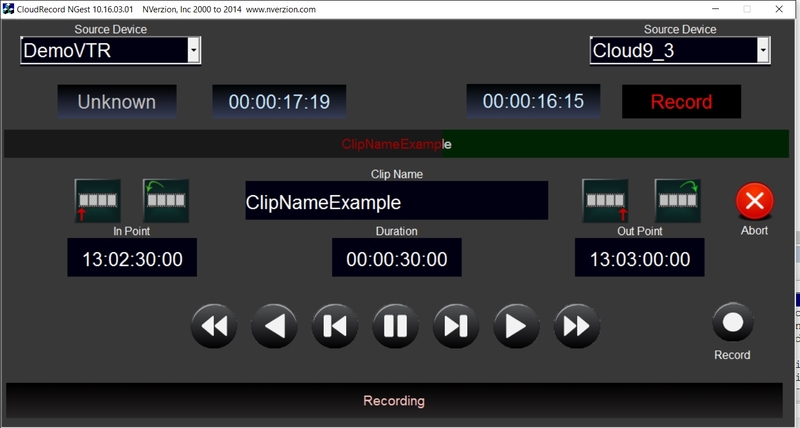 With NFinityRecord you can also optionally control a VTR using serial transport controls or even simply enter a clip name and duration then hit record. 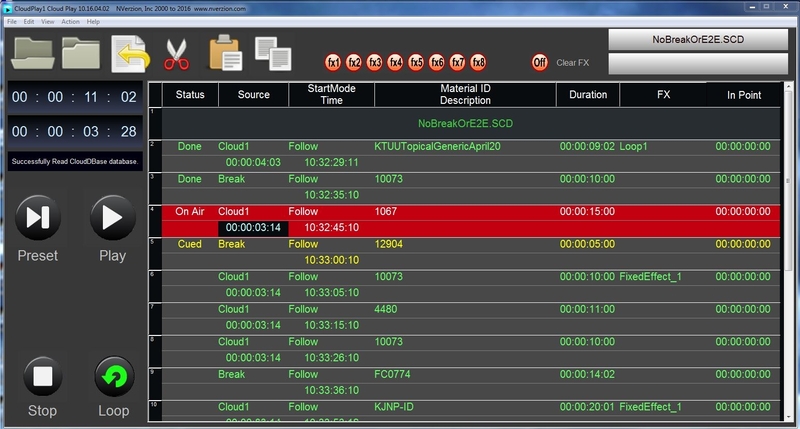 NFinityTime scheduling software is also included in the NFinity broadcast video server package and provides a simple record list to ingest daily or weekly feeds. You can also use NFinityTime to automatically replace daily or weekly recordings. NFinityReview is also a standard part of the NFinity broadcast video server package and allows for quick recorded playback of content for quality control processes and does not tie up a playout port! It is all on-screen. You can also optionally connect PC speakers for audio quality control and edit on-board FX for on-air playout. NFinityCoder is standard with the broadcast video server and enables you to move and rename content to the local file system from external or remote storage. 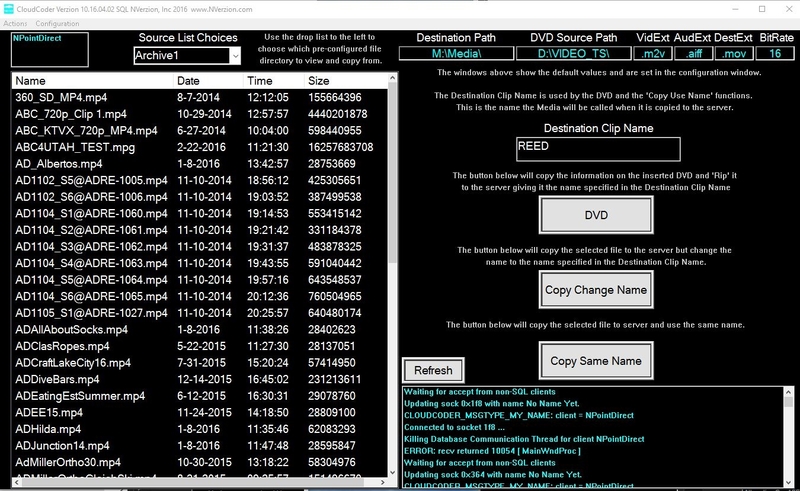 The NFinityCoder also allows you to RIP most DVD formats to MPEG files. We also offer convenience packages for automation through our partner NVerzion that allow for affordability and flexibility to the purchasing process as well as special Uinta packages. These collections of software and hardware solutions can help you quickly match needs to an available solution and get your system deployed and on the air as fast as possible. Each package can be completely customized to fit or expanded upon at a later time as your needs develop.